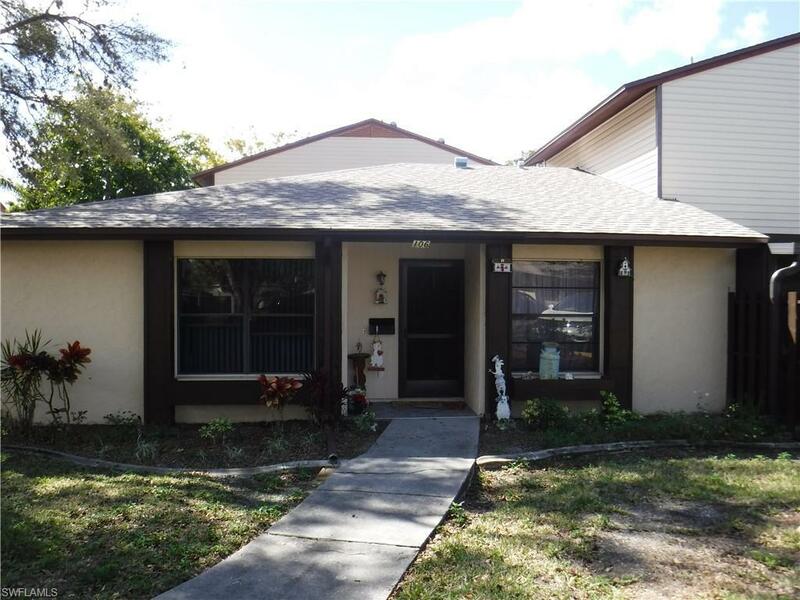 Beautiful 2 bedroom 2 bath condo located in wonderful SE Cape Coral neighborhood! Along with Tile throughout, solid surface counters in both bathrooms, the Unit has new plumbing, a new water heater, a new roof and a new enclosed lanai. As an added bonus the washer, dryer and refrigerator are all less than one year old. The courtyards of Cape Coral condominium complex is centrally located and offer very quick access to Ft. Myers, and Bonita Springs. Along with being close to various schools, shopping, and dining, THE PROPERTY IS ON SAME GRID AS THE HOSPITAL SO POWER OUTAGE IS NOT AN ISSUE . This well maintained complex has a wonderful community pool, with an attached room for meetings and relaxing. There is also a shuffleboard area with lots of room for fun in the sun or shade. Call today for a private showing!